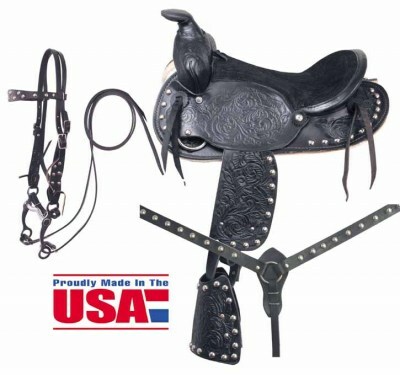 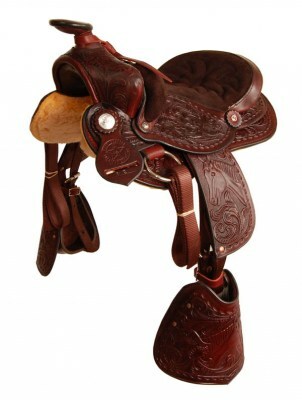 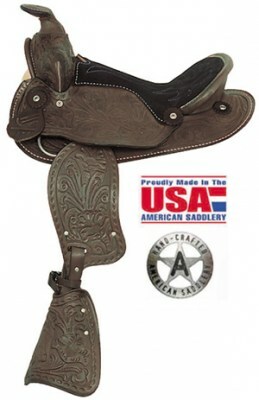 American Saddlery Little Britches Pony in two colors. 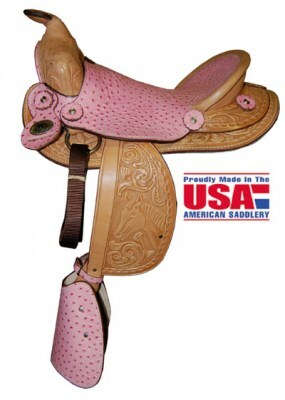 Little Colors Pony Saddle in pink, red, purple & more. 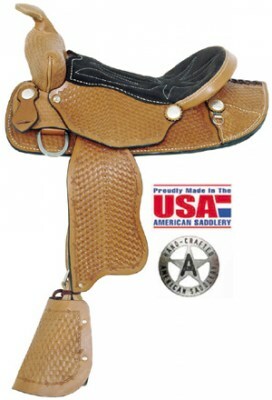 American Saddlery little Brother Pony in Med Oil. 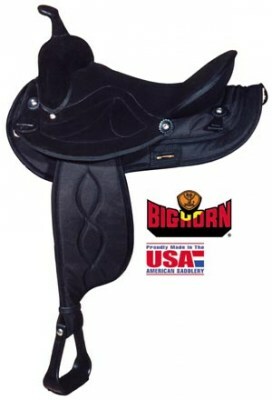 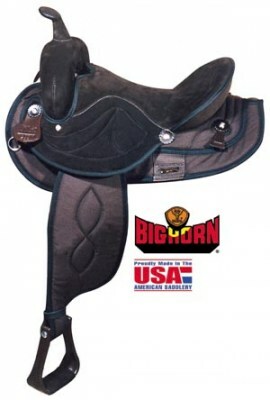 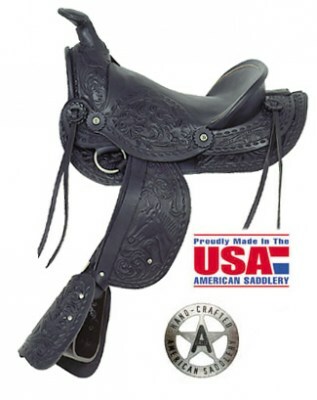 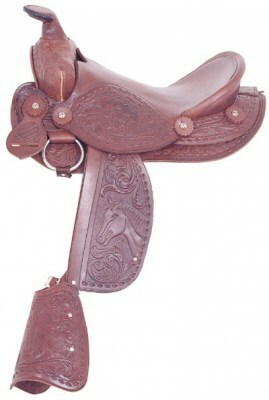 Big Horn Black synthetic saddle with a 17"seat.